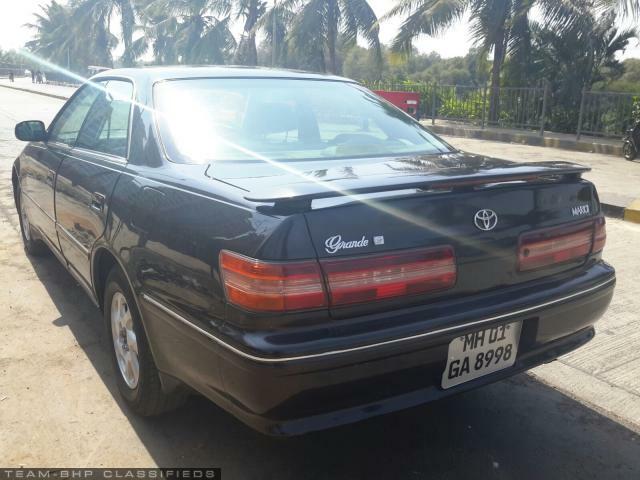 This is the rare Toyota Mark II Grande (LX100) Turbo Diesel 2.4 litre, Automatic, Imported sedan, with all luxury loading, in spectacular condition. 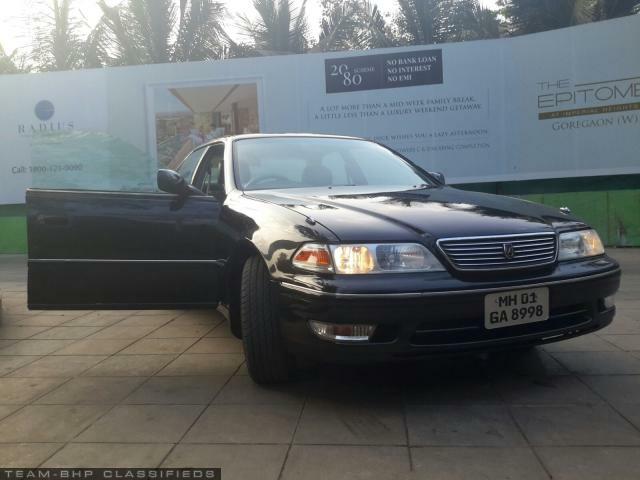 This is not the usual Mark 2 which you instantly remember, which is the previous generation known as the LX 90. This is the next generation and hence more coveted, more advanced and enhanced in features and engineering obviously and hence more desirable. The mentioned piece here is an original car, very well maintained, and is in the prime of its life having just gone through a routine and rigorous service checklist. New Engine Oil with oil treatment, new battery, Brand new Bridgestone tyres, new signal and fog lights, new monograms, new engine mounts, new bushes wherever required, newly vacuumed, polished, internal and external. 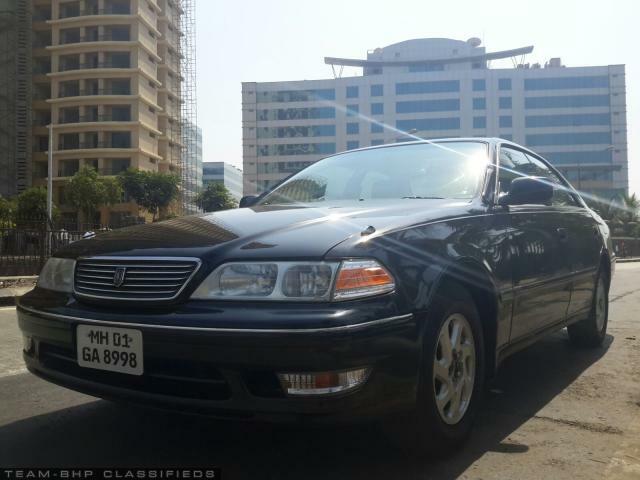 2002 registered, 104k driven, single owner, all import papers and invoice preserved. 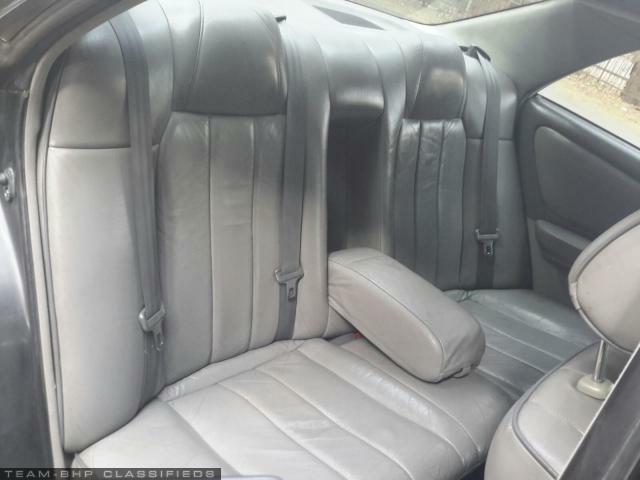 As per the car condition, you can see there is not a single scratch on the car externally and even the original grey soft leather upholstery of the car is perfect. It’s a modern car with a sleek international design attracting eyeballs. The lines on the car are the magic of designing. 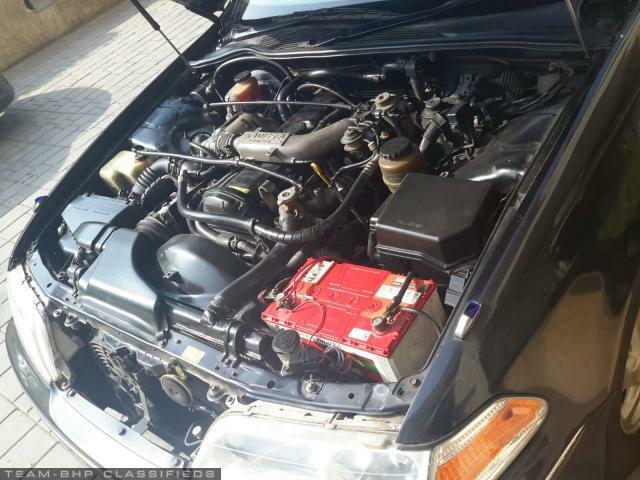 A Turbodiesel 2.4 litre engine ensures adequate displacement and punch in pickup and velocity. Automatic transmission, tiltable steering and electric seats ensure a ride full of comfort. 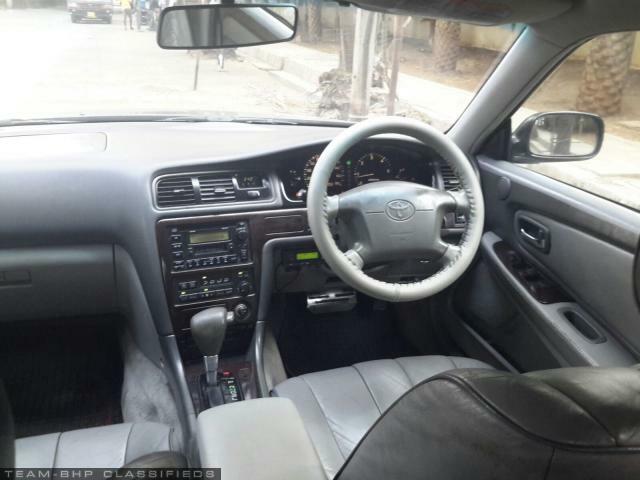 Toyota branding ensures reliability and maintenance free ownership devoid of complications and hassles as parts availability is wide and engine is same as the Qualis. The riding pleasure is further enhanced with the chilled air conditioner, and uncompromised safety with multiple airbags including side airbags also and ABS. Very differently designed headlights and all time illuminated meter lights make things more pleasant in and out of the silent cabin. Obvious features like power windows, power steering, auto moving central locking etc are needless to point out. Original Japanese car stereo along with a DVD player and a screen on the roof. The most important and striking feature is the styling of the car. The lines angles and rimless windows along with clear crystal headlamps, dual parallel colour designed signal lights, chromed protruding stylish grille, all new and unconventional taillights, and a special metallic greyish black colour. The car is free from any issues and is in prime condition for anyone to drive it anywhere in the country. 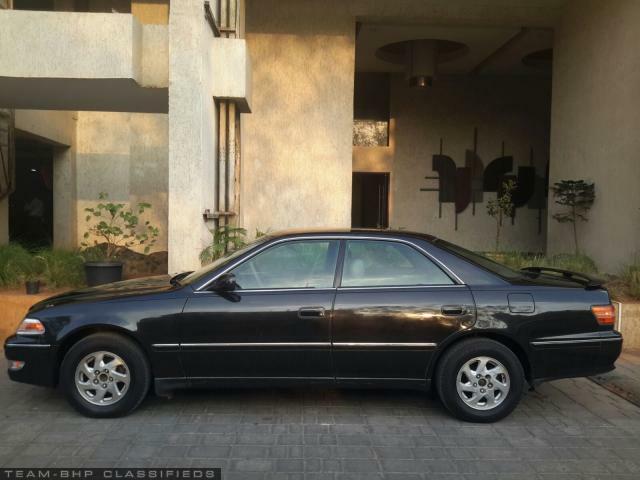 Looking at talking to interested people and quick decision takers, who can come and test the car which is standing at my place in Oshiwara, Andheri, Mumbai. The car can also be sent to anyone anywhere in India by a truck trailor on full payment of the cost upfront. 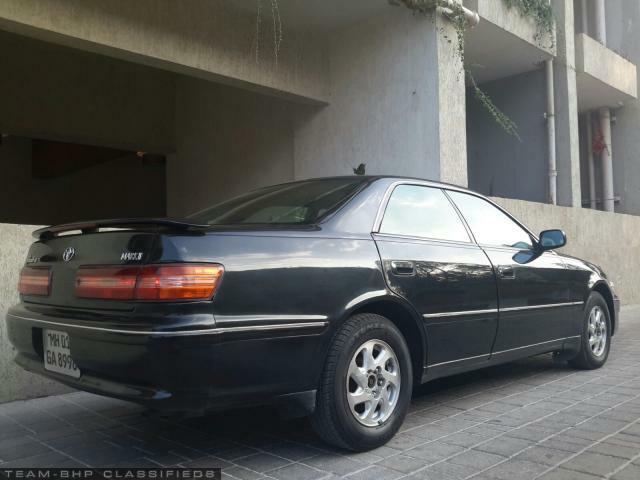 The Mark II was initially a mid size sedan launched by Toyota in 1968 and it became the Flagship sedan of Toyota in markets where Crown was not offered, as initially Toyota was only known as a small, economy car manufacturer. The Mark II allowed Toyota to establish itself as a more mainstream, international automaker and pursue new market opportunities.